Owning a boat can be a great pleasure, but it can also sometimes be a “pain!” Last year alone, boating accidents resulted in $39 million in property damage, according to the U.S. Coast Guard. Learn how to protect yourself and your family from the financial perils associated with boating accidents. 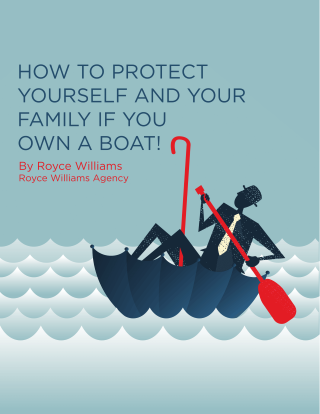 Surprising secrets about boat coverage in a standard Homeowner’s Policy. Answers to common questions about the various kinds of “watercraft” insurance. How to save money on boat insurance. A special kind of insurance you may need to get.